This large painted Victorian sideboard is a fantastic addition to our large and extensive range of antique pine furniture. This late Victorian pine sideboard was recently acquired from a local farm clearance. 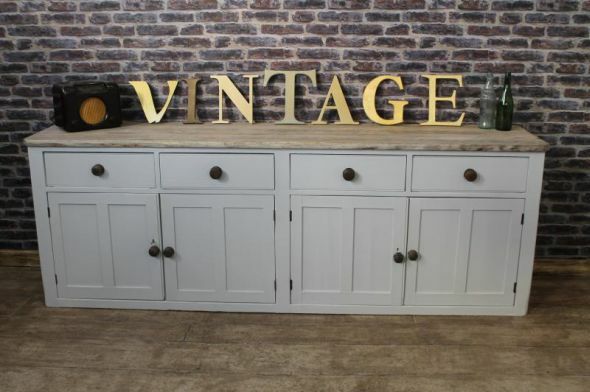 Featuring a lovely bleached top appearance and painted base, it features four deep and useful drawers above two large cupboards with double doors. The item is in lovely condition and has been freshly painted in Farrow & Ball 'Pavilion Gray'. An extremely useful piece of furniture for any large country kitchen.